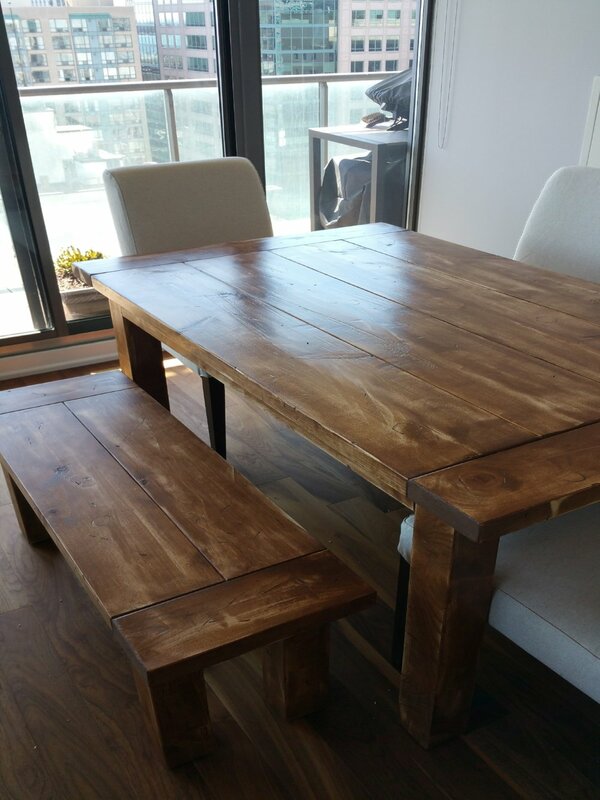 This condo sized farm table was created with space in mind. 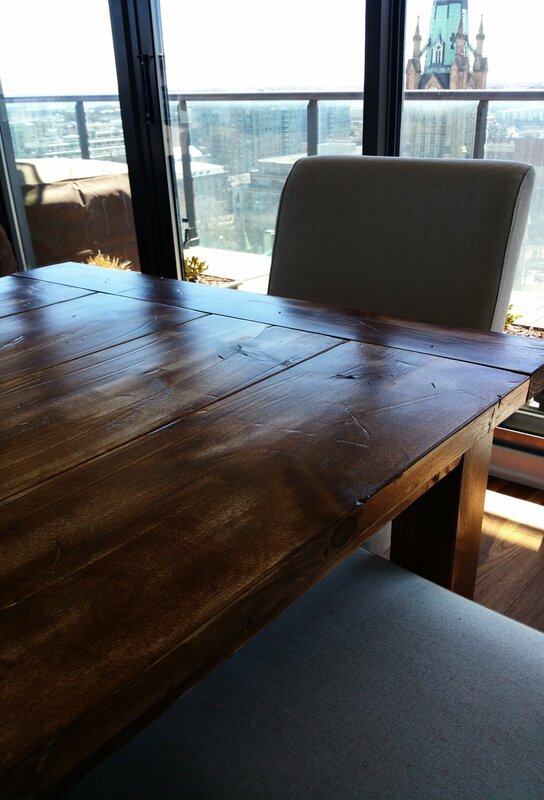 This urban couple wanted a rustic farm table to fit their modern lifestyle. 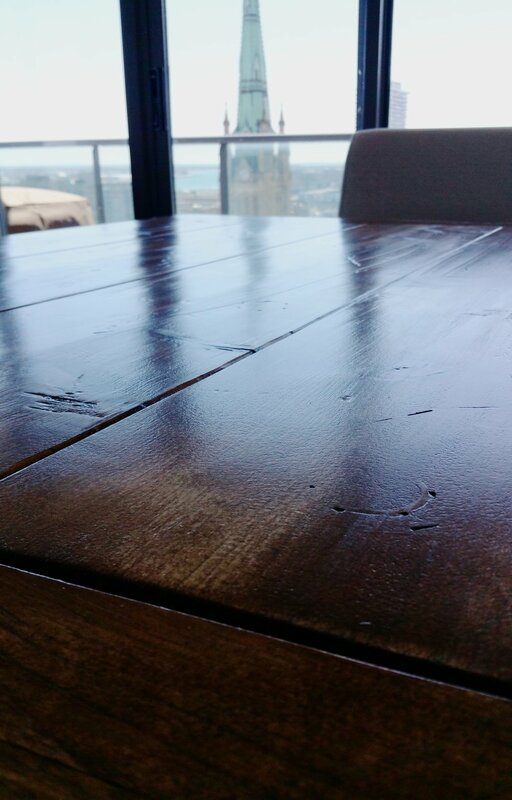 The matching bench slides under the table between the legs when not in use making the most usable space in this downtown location.